Concentrating mainly but not exclusively on the Loire's vineyards, its vignerons and their wines along with places to eat and stay. Also covers some recently published wine books – not just from Loire. 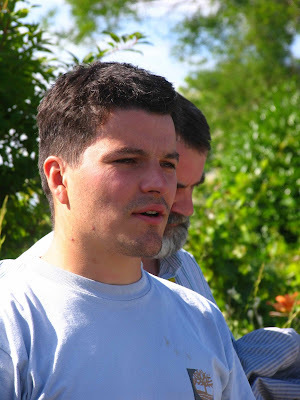 Regional Chair for Loire @Decanter's World Wine Awards since its inception. Winner of the 2009 Wine Blog Trophy (journalist category) Salon des Vins de Loire. 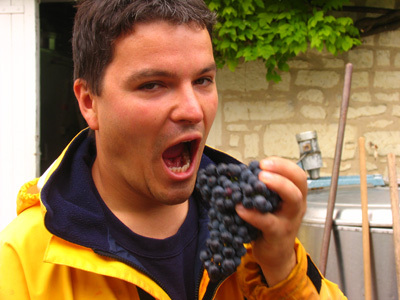 I have a large and expanding library of photos, particularly from the Loire – places, producers, vineyards etc. European. Domaine de la Noblaie is in Ligré on the south side of the Vienne – the river that runs through Chinon and joins the Loire at Candes-Saint-Martin. The domaine can trace its history back several centuries – it appears on a Cassini map of 1765. In 1952 it was bought by Jacqueline and Pierre Manzagol. They were originally from Corréze and ran a dairy in Poissy, one of the western suburbs of Paris. On a visit to Chinon they fell in love with La Noblaie and bought it on the spot. In 1953 the domaine produced just three barriques from five hectares of vines. 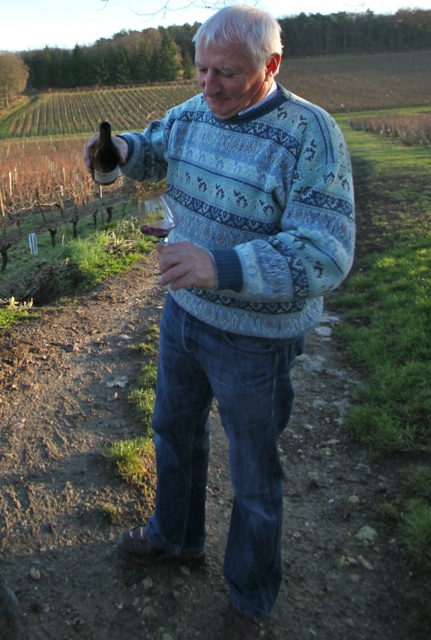 In 1968 Madeleine, their daughter, married François Billard from Bordeaux who was trained in wine, so brought with him his wine knowledge and his contacts in the wine trade. François became a professor of oenology at the Lycée Viticole of Montreuil Bellay running the domaine in tandem. 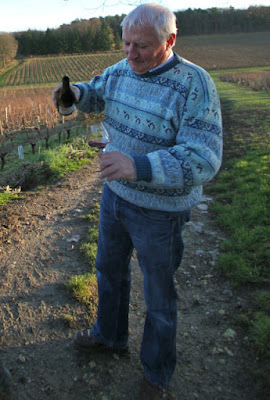 One of his pupils was Christophe Daviau of Domaine de Bablut. By 2000 the domaine had 12 hectares of vines. In 2003 Jérôme, Madeleine and François, returned from working at Pétrus and Dominus (California). The area under vines had now expanded to 18 hectares. Jérôme's wife Élodie joined in 2006. 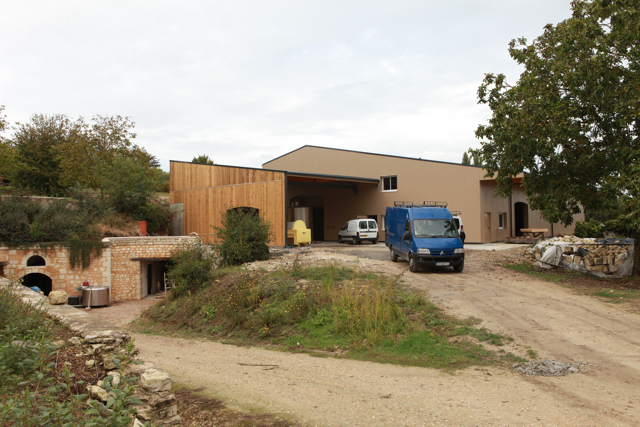 By 2012 the domaine had grown to 24 hectares and a new and spacious winery was built in 2012. 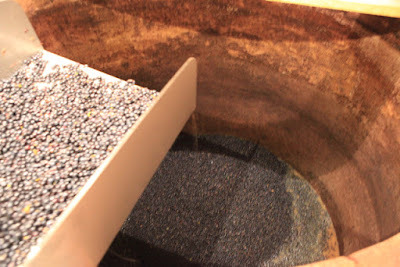 Although not fully finished the winery was just operational in time for the vintage. Jérôme is now one of the best producers in Chinon. 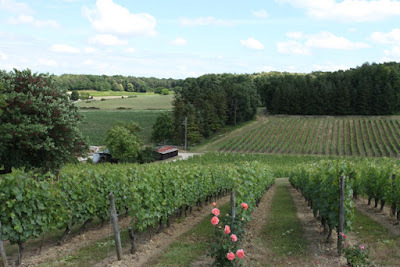 Noblaie now produces four Chinon reds, two whites, a rosé and a Touraine Mousseux (sparkling). 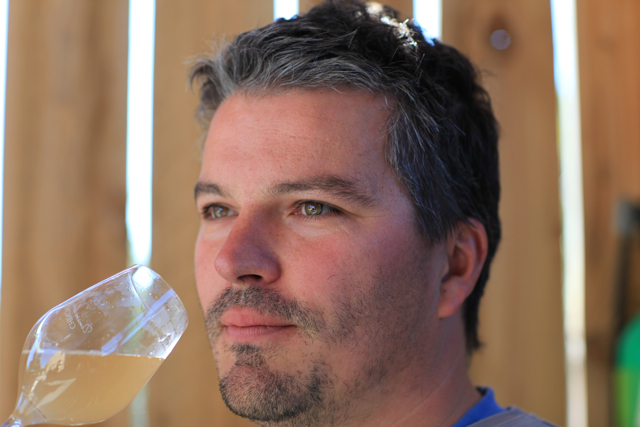 Domaine de la Noblaie – the straight domaine Chinon emphasis on the fruit, aged in stainless steel for eight months. Les Blanc Manteaux – single vineyard on a limestone ridge, aged for 12 months in 500-litre barrels. Les Chiens-Chiens – another single vineyard with a significant proportion of clay aged for 12 months in 400-litre barrels and then 8 months in stainless steel. Pierre de Tuf: from vines planted before the 2nd World World on clay-flint. 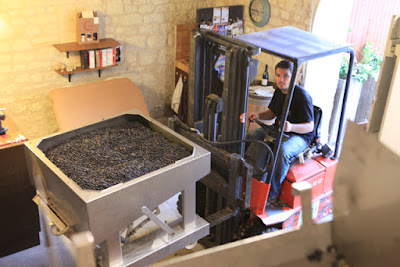 Vinified in a special stone vat hewn out of limestone dating from 15th Century. 12 months in 500-litre barrels and then eight months in stainless steel. Domaine de la Noblaie - the straight domaine Chinon emphasis on the fruit, aged in stainless steel for four months. La Part des Anges: made from very ripe fruit with some botrytised grapes. Aged in 500-litre barrels for 24 months. Capacity to age for many years. MonAnge: fruit comes from the beginning of rows. Partial fermentation before bottling then at least 25 months sur latte. This is the latest profile from RSJ News blog – our producers. Traductions: Français vers Anglais: les sites internets, les brochures etc. Translations: French into English: websites, booklets etc. Next time you light a cigarette remember Charly! Beware spam J Budd email! Unless otherwise stated all photos on this site are copyrighted – Jim Budd. They should not be used without authorisation and due credit. Please contact me on budmac@btinternet.com for all use. There will usually be a charge for use in commercial publications – papers, magazines, websites etc. and for other commercial uses. Photos that are used for commercial use without permission will be charged double – the fee for the use of photo and for breach of copyright. Commercial organisations asking to use photos for no payment may not always receive a polite response. Catavino: Ryan and Gabriella Opaz etc.